MERGING Queensland's councils was lauded as a way to save taxpayers millions. Local Government Association of Queensland CEO Greg Hallam said the mergers had not solved councils' financial woes. "Any claims of savings were clearly illusory," he said. "Financial conditions haven't changed one iota. Amalgamation wasn't the silver bullet." A Local Government Department spokeswoman said it had not collected any data to see whether amalgamation's goals had been met. "The department has not carried out a specific comparison of local governments' financial positions prior to and after amalgamations, or in some cases de-amalgamations," she said. "The department does analyse council sustainability and financial positions through specific processes such as the Local Government Borrowing Program and the Grants Programs. "It also works closely with the Queensland Audit Office in analysing data and trends in order to provide assistance to at-risk councils as required. "The QAO has an audit program which identifies local government financial risks using a range of financial data." Was merging Queensland councils worth it? No, we should undo the council amalgamations. We should get rid of all councils. Yes and we should merge more councils. Mr Hallam said some larger councils had made gains and pointed to being able to plan across an entire region as one of amalgamation's benefits. But he said some smaller councils were still struggling and some communities continued to push for further de-amalgamation. In 2014 the LNP de-amalgamated the Noosa, Livingstone, Douglas and Mareeba councils. The most recent QAO local government report, for the 2015-16 year, expressed concerns about councils' revenue generation. Research from leading local government expert Brian Dollery has found mergers were unlikely to have made significant savings due to the labour-intensive nature of councils' biggest costs. The University of New England business professor said bigger did not necessarily mean better when it came to many of council responsibilities. "You can't get half a road resurfacer for a smaller area and you can't get one twice the size for a bigger council area. They only come in one size," Professor Dollery said. "Or look at a health inspector. If you have double the council you need double the health inspectors because you've got double the work." Prof Dollery said as certain functions including water supply, payroll and computer systems did benefit from economies of scale, small councils would have been better off teaming up than merging. "That is a massive opportunity. You could have 30 or 40 councils operating off the one IT system, for example. Then leave labour intensive services to individual councils," he said. Mr Hallam said the LGAQ had heavily invested in technology to help provide such services to councils. Local Government Minister Stirling Hinchliffe defended amalgamation but ruled out further boundary changes. "Overwhelmingly, amalgamation has delivered more benefits than costs to Queenslanders," he said. "Too much energy has been expended on amalgamation and de-amalgamation and I believe the community is best served by just making the arrangements work. "The key issues for reform in local government need to be restoring community trust, transparency and accountability and this is where we will be focussed." Shadow local government minister Anne Leahy said the government must continue to support communities who still felt disadvantaged from amalgamation. "When in government, the LNP empowered local communities though genuine partnerships between state and local governments," she said. "Annastacia Palaszczuk and Labor should be working with local governments to address any on-going concerns over Labor's forced amalgamations." What is the biggest issue arising from council mergers? This poll ended on 12 March 2018. April 2007: Premier Peter Beattie forms the Queensland Local Government Reform Commission to make recommendations around council amalgamations. July 2007: LGRC report recommends many councils be amalgamated into "regions" based on major towns and cities. Opposition leader Jeff Seeney vows to de-amalgamate councils if a Coalition government was elected. August 2007: Queensland Parliament debates the Local Government (Reform Implementation) Act 2007 until 4am before passing it into law. March 2008: Council elections are held on new boundaries. August 2012: Newly elected LNP government establishes Boundaries Commission which receives submissions from 19 communities wanting to be considered for de-amalgamation. November 2012: Four areas - Douglas, Livingstone, Mareeba and Noosa - allowed a referendum on de-amalgamation. March 2013: Residents vote to de-amalgamate from regional councils. 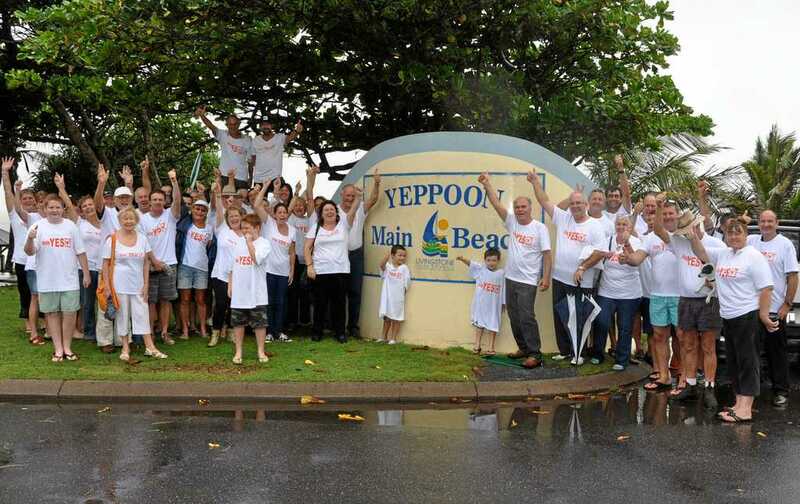 January 2014: De-amalgamation comes into effect for Douglas, Livingstone, Mareeba and Noosa. Light lunch provided and/or get 10% discount on your Saturday lunch or Sunday Breakfast available at 5 different cafes downstairs. 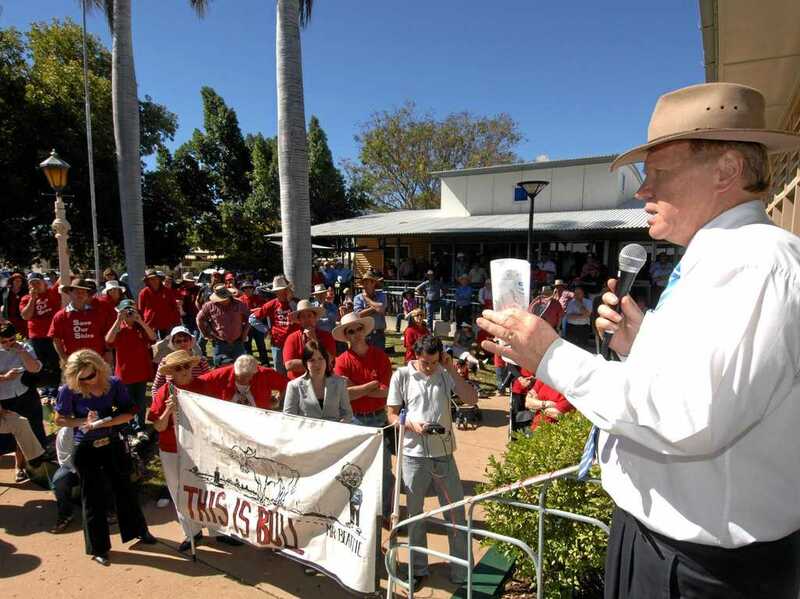 NOOSA naysayers fearing de-amalgamation would financially cripple the region will be silenced by the latest Queensland Audit Office report into local governments across the state. The 139-page report, which cost $196,000 to compile, examines the four councils, including Noosa, which fought for its right to break free from the Sunshine Coast. And while the first in-depth look at de-amalgamation can only investigate six months of Noosa's financials - the evidence is clear. The bitter divorce from the Sunshine Coast Regional Council has not resulted in Noosa suffering severe financial strife. It clearly shows the high cost of the split, including an analysis of "one-off costs", were nowhere near the original $11 million estimated by the Queensland Treasury Corporation. The final figure was $4,356,576. The report showed, after de-amalgamation, Noosa was on track to "break even" this financial year and had a "moderate" future outlook. Mayor Noel Playford said the latest budget findings would show an even better result. "We will do better than that," Cr Playford said. "Noosa is on track to having a surplus for the year." "We are meeting the three key financial rations the State Government looks at to decide the outlook," he said. Cr Playford said even though de-amalgamation had been a painful process he wished never to repeat, there had been some positives. "While I can't recommend amalgamation, I can recommend starting from scratch," he said. "The staff have been terrific. We've found a whole lot of things that were built in where expenditure wasn't necessary. "We have significantly reduced our cost base." Despite the report clearly showing Noosa was in a satisfactory position post-de-amalgamation, CEO Brett de Chastel still wrote to the Auditor-General pointing out possible areas of dispute in the report. Noosa had received an "amber mark" for delaying its reporting and there were also questions about the final cost of redundancies. Cr Playford explained the report "normally lists here are the naught councils who didn't meet the deadline". "We didn't finish the audit because there were assets in dispute," Cr Playford said. Mr De Chastel also questioned the $6.6 million cost of redundancies, which he argued should have been $4.78 million. The figure in the report included leave entitlements, which Cr Playford said "had nothing to do with redundancies". Cr Playford said, while it was important for Noosa to get these concerns on public record, it was a "moot point really" as the report still had Noosa in a good position. "The bottom line is, yes, de-amalgamation costs money," he said. "It cost the community, it cost a lot of council employees and it was a hellava lot of work, but some good things have come out of it. I am writing to you as the MP whose electorate represents our council region or has a footprint in the Region. Within a short period, Parliament will be presented with two petitions asking that the Capella/Peak Downs area and a proposed grouping of councils based on Maryborough be permitted a democratic vote to decide whether the people want to separate from the regional council with which they are currently amalgamated. You have heard often enough from our Group that the Regional Council is a complete failure on any criterion that you care to judge it, and many residents and ratepayers seek a vote as to whether or not to persevere with this amalgamated council. That overwhelming desire for more local, responsive, representative councils is a state-wide movement. Indeed, the movement is much stronger in rural/regional areas where the local council used to be such a central and integral part of their communities’ social, cultural and economic life. I am inviting you to receive the petitions with interest and enthusiasm as befits the aspirations of so many of our citizens. It would be an excellent result if you could speak in favour of these petitions and possibly arrange for them to be debated. It will be blow to democracy and a disgrace if these petitions from the citizens of Queensland are again given the same treatment as were the 19 separate petitions in 2012 of tens of thousands of residents and ratepayers from areas seeking the restoration of their former local councils, whose pleas were consigned to the waste paper bin by the former Minister David Crisafulli. It would be an everlasting disgrace and a further shame on the Parliament of Queensland if these two petitions are received in the same manner as was the 12500 signature petition from the residents and ratepayers of Redcliffe City in 2013 which also sought a democratic vote on the form of their local government. The 70-80 percent of Queenslanders who are dissatisfied with their regional councils and desire a return to proper LOCAL government urge you to use these two petitions as a stepping stone towards returning local government to the people. Ratepayers Action Group Moreton Bay. A Member of the Queensland Local Government Reform Alliance Inc. I HAVE BEEN EAGERLY AWAITING THE PUBLIC AVAILABILITY OF THE NEW QLD ALP POLICY PLATFORM ON LOCAL GOVERNMENT. IT WAS ADOPTED AT THEIR RECENT STATE CONFERENCE AND IS NOW ON THE WEB. QLD ALP POLICY PLATFORM 2014. FOLLOW THE PROMPTS TO ACCESS PAGES 64-67, WHERE YOU WILL FIND PARAS 7.123, 7.124, 7.129, 7.130, 7.137, 7.139 AND 7.146 PARTICULARLY INTERESTING. Very interesting! We will be drawing this policy platform to the attention of our members through this web site and Newsletters so that they can make comparisons between the manifestos of all the parties. We will be drawing this policy platform to the attention of the four ALP candidates within Caboolture Shire to constantly remind them of these promises that they and their party have made. We will be drawing this policy platform to the attention of the four local sitting LNP members so that they have a clear understanding of what we and the overwhelming majority of ratepayers expect them to match or better. We will be drawing this policy platform to the attention of Unite Against Unity members so that they too can compare policies and performances in respect of UnityWater. We will not be drawing this policy platform to the attention of the local media. That is a job for its owners. In any case the media is well aware of OUR policy platform: Local councillors dealing with local issues for the benefit of local ratepayers. - Our shire, our council, our choice! We didn't want a Regional Council - We didn't ask for it! 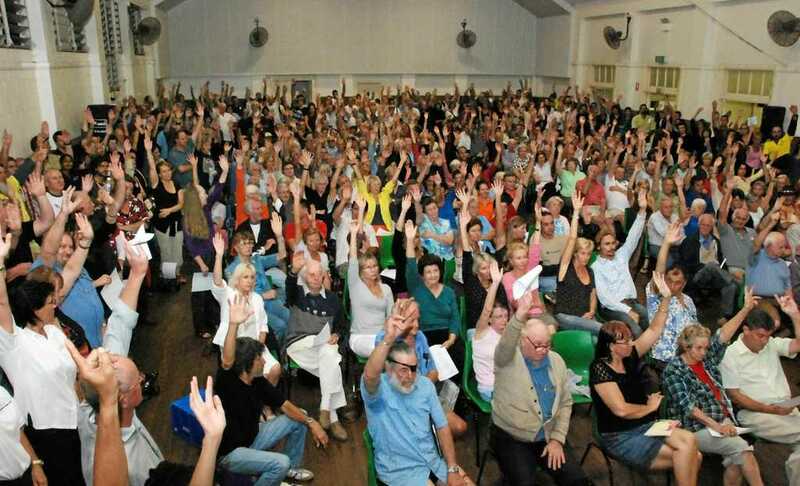 We did in fact, have an unofficial vote (a plebiscite) and ratepayers of Redcliffe City, Pine Rivers Shire and Caboolture Shire overwhelmingly rejected the idea of a Mega Council. WE GOT IT ANYWAY - An undemocratically forced amalgamation of the three Shires which were already among the countries' largest. The bureaucracy has mushroomed in numbers and salaries. Departmental heads are now too remote from the "Coal Face" to really know what is going on. Services have not improved, debt has grown. Caboolture was previously, we understand, debt free. There is disunity and jealousy between the old shire areas. Bribie Island ratepayers ask, for example, what benefits they will receive from spending their rates on a Railway line to Redcliffe. In fact the area is so large that there can be no Community of Interest. Unity is impossible. Pride in OUR Council is not feasible because there is no longer a sense of it being OUR COUNCIL. There is now an Infrastructure Charge. What are our rates itended for if not to provide infrastructure? The Council has undertaken to provide funding for a railway line.When under the Australian Constitution did railways become a Local Government responsibility? The promised economies of scale and improved efficiencies have not materialised - indeed the opposite seems to be the case. Small businesses and developers all complain that the mega council is uncooperative and oppressive. The area is not developing to its' full potential. Rates have not reduced nor have they been restrained to the CPI increases. Some people have had abnormal rate rises. Unity Water was not taken back when offered so we have another mega bureaucracy to support and no relief from oppressive water and sewerage charges. The Council has to pay $500,000 pa Carbon Tax (from our rates) because we are so large. During the state election campaign in 2012 Campbell Newman and his team made it quite clear that ratepayers would be given the opportunity to reverse the undemocratic forced amalgamations. That option, believe it or not, has been given and the deadline imposed by the Minister, Hon David Crisafulli M.P. has passed. Furthermore, the conditions imposed by the Minister were so onerous that no Commnity based organisations could possibly comply! It is not democratic - not all ratepayers have been consulted or given the option to be consulted. it is impossible to overcome the bureaucratic obstacles placed in the way. It is inconsistent with LNP ELECTION PROMISES. One of the Ministers' strategies was that an amalgamated Council could advise him if they were interested in damalgamation. 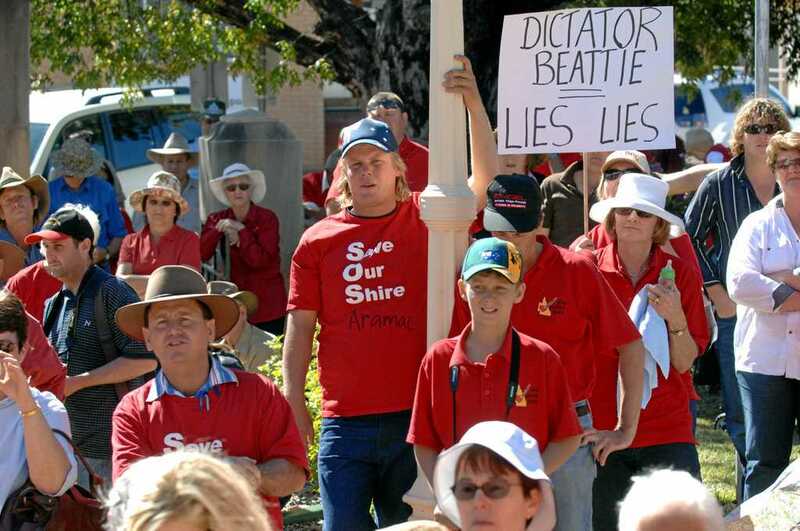 Moreton Bay Regional Councillors declined to do so. GUESS WHY!